Tomas Plekanec says he's retiring from the NHL after the Montreal Canadiens placed the veteran centre on unconditional waivers for the purpose of terminating his contract. Plekanec said at a Friday press conference that while he still wants to play hockey, he's not interested in being claimed by another NHL team. "I always wanted to retire as a Montreal Canadien," Plekanec said. "It's something that I'm really proud of." Plekanec suited up for his 1,000th NHL game on Oct. 15, scoring a goal against the Detroit Red Wings. But he has had trouble finding playing time with the Canadiens, who are proving to be deeper down the middle this season than expected. Eighteen-year-old Jesperi Kotkaniemi made the team out of training camp and has Max Domi, acquired from Arizona in the off-season, has found success after moving to centre from the wing. The Canadiens also have a wealth of young forwards playing for the American Hockey League's Laval Rocket. Plekanec has suited up only three times this season, and hasn't played since Oct. 17. 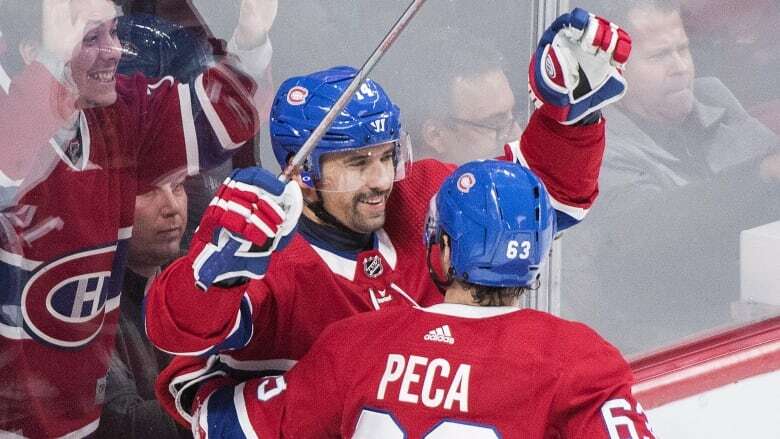 "[General manager Marc Bergevin] approached me with the situation with the team, and obviously with JK doing so well, and Max doing so well and the guys in Laval, they're knocking on the door as well," Plekanec said. "We had a good discussion about it, and I've been around for long enough to know that these guys need to get the chance." The 36-year-old from Kladno, Czech Republic, said he is open to returning to his native country to play for a few more years. Plekanec leaves the NHL with 233 goals and 375 assists over 1,001 games. Almost all of his NHL career has been with the Canadiens, other than a 17-game stint with Toronto at the end of the 2017-18 season. Plekanec has also played in 94 career playoff games, and registered 53 points (18 goals, 35 assists). He had two goals and two assists in seven playoff games with Toronto last season, and the rest of his post-season production came with the Habs. The Canadiens selected Plekanec in the third round (71st overall) of the 2001 draft. Bergevin called the move a "difficult decision." "Tomas Plekanec has always been a true leader for this team, and an example of determination and loyalty," Bergevin said.